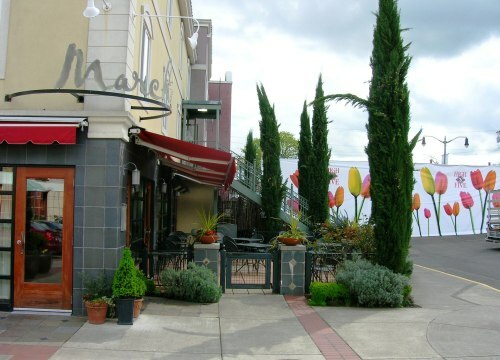 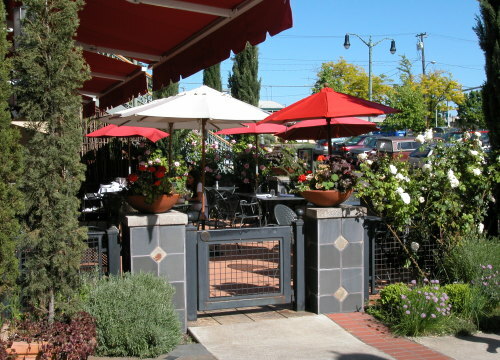 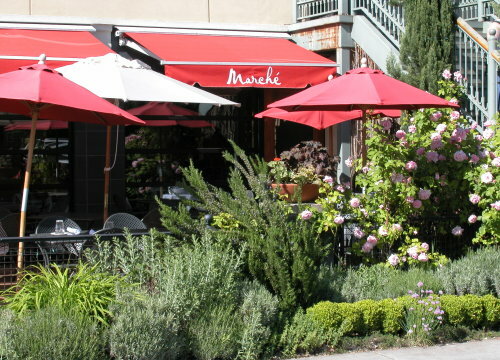 The landscape in front of Marche Restaurant, a French-inspired cafe anchoring the 5th Street Market in downtown Eugene, had to reinforce the regional identity of the business and create a user-friendly outdoor dining area that felt separate from the adjacent parking lot. 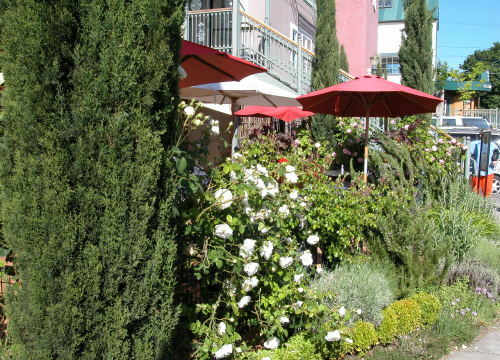 Italian cypress and neatly trimmed boxwood and roses combine with culinary herbs and fragrant lavender to engulf diners in a warm Mediterranean feel. 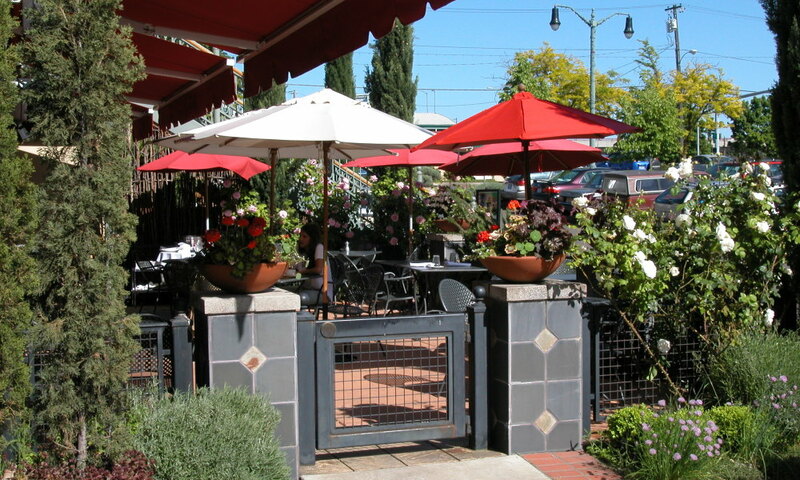 A low iron fence with an open grid reinforces the patio edges without confining an already small space.